Is the $450 Million Salvator Mundi Painting Really by Da Vinci? 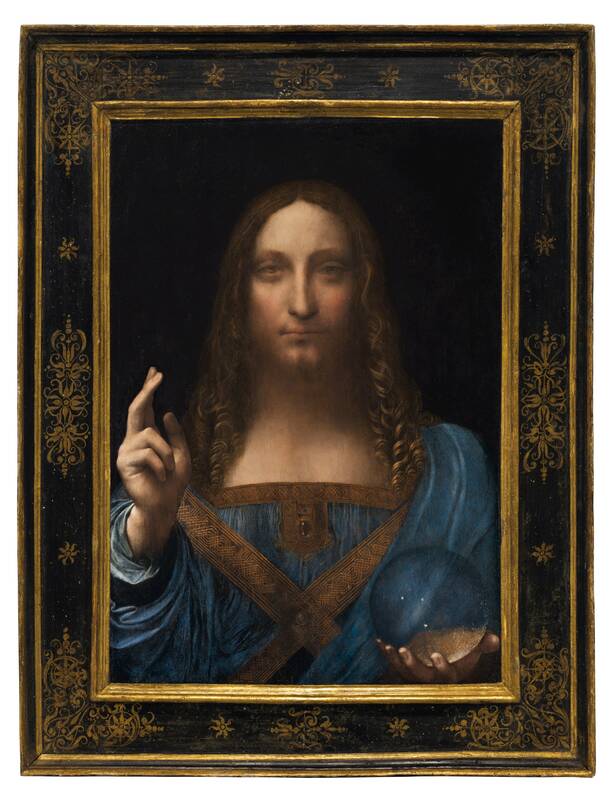 The whole world has heard of the "newly discovered" or "recently accredited" painting called Salvator Mundi (Savior of the World) becoming the highest price ever paid for a painting in history... $450 million. Wait. Let me put all those zeros back in for effect. That's $450,000,000. Nearly half a billion dollars! And of course, the main reason is that art experts claim the painting was created by the hand of Leonardo Da Vinci himself. But is this a fact, or merely the opinion of a bunch of art historians and experts hired by the 20 person American consortium that owned the painting? ...but after "restoration" by an expert, it wound up looking like a Da Vinci? Even though the consortium of Americans, led by Robert Simon of Robert Simon Fine Art (in the business of marketing Old Masters paintings), who raked in $450 million (less the 30% fee for Christie's) are very happy about the sale, many others still have doubts about the painting. At this point, no one is certain who bought it, but you can be sure we will see it again, marketed like crazy by some big name museum, with a full compliment of T-shirts, books, posters, pillows, mugs to bolster profits. For the last several decades it seems that art "experts"--especially those associated or hired by fine art auction houses--hype and pump up prices as their main raison d'être. Even if the art is unworthy of attention, if they can draw attention to a work, its auction price will climb ever higher. Hucksters have invaded the fine art world, for sure. Some claimed that the wood panel is similar to the panel in size and type that the Mona Lisa is painted on. They aren't. The Mona Lisa was a poplar panel... the Salavator Mundi is on walnut. The Mona Lisa is 30" x 21" while the Salavator Mundi is smaller... 26" x 18". And as you can see from the un-retouched photo of a solid crystal orb above, the hand would not show through, as the Salvator Mundi showed Jesus' hand in the orb. Da Vinci would have known this. I also find it curious, that there is no major film documenting the step by step restoration of the Salvator Mundi--at least, not that I can find. Typically a find of this magnitude would have an episode of PBS' NOVA documenting the science behind the discovery, analysis and restoration process. The person doing the restoration, Dianna Dwyer Modestini, is a fine artist in her own right, capable of restoration--or mimicking--the style of Da Vinci, or any other Old Master, for that matter. She worked for the Metropolitan Museum of Art until she and her husband went into the business of restoring paintings for major museums along with many private galleries. The question is, did her restoration go too far, or just far enough? The attribute the name of Da Vinci to such a work requires lots of science and trust. In this case, who do we trust? The consortium whose interest was motivated by the potential profits? The restoration expert who has been in the business of restoring paintings for private galleries to increase their appeal--and value? The museums who will surely put together huge exhibitions based on the Mundi and sell millions of dollars in ticket fees and gift shop products?